D-2564 8 X 6 X 1 1/4" Tech Pack™ 24 oz. Moisture Resistant Cold Packs - 8 X 6 X 1 1/4"
D-2563 6 1/4 X 6 X 1" Tech Pack™ 16 oz. Moisture Resistant Cold Packs - 6 1/4 X 6 X 1"
D-2561 6 X 4 X 3/4" Tech Pack™ 8 oz. Moisture Resistant Cold Packs - 6 X 4 X 3/4"
D-2551 11 1/4 X 9 1/4 X 1" Re-Freez-R-Brix™ 64 oz. Cold Bricks - 11 1/4 X 9 1/4 X 1"
D-2550 9 X 8 X 1 1/2" Re-Freez-R-Brix™ 64 oz. Cold Bricks - 9 X 8 X 1 1/2"
D-2549 9 X 4 X 1 1/2" Re-Freez-R-Brix™ 31 oz. Cold Bricks - 9 X 4 X 1 1/2"
D-2548 4 1/2 X 4 X 1 1/2" Re-Freez-R-Brix™ 15 oz. Cold Bricks - 4 1/2 X 4 X 1 1/2"
D-2547 7 X 5 X 1 1/2" Re-Freez-R-Brix™ 28 oz. Cold Bricks - 7 X 5 X 1 1/2"
D-2546 4 1/2 X 4 X 3/4" Re-Freez-R-Brix™ 7.5 oz. Cold Bricks - 4 1/2 X 4 X 3/4"
D-2545 4 1/2 X 2 X 1 1/2" Re-Freez-R-Brix™ 7.5 oz. Cold Bricks - 4 1/2 X 2 X 1 1/2"
D-2544 10 1/4 X 8 X 1 1/2" Ice-Brix™ 48 oz. Cold Packs - 10 1/4 X 8 X 1 1/2"
D-2543 10 X 6 X 1 1/2" Ice-Brix™ 32 oz. Cold Packs - 10 X 6 X 1 1/2"
D-2542 8 X 8 X 1 1/2" Ice-Brix™ 32 oz. Cold Packs - 8 X 8 X 1 1/2"
D-2541 8 X 6 X 1 1/4" Ice-Brix™ 24 oz. Cold Packs - 8 X 6 X 1 1/4"
D-2540 6 X 4 X 3/4" Ice-Brix™ 8 oz. Cold Packs - 6 X 4 X 3/4"
D-2539 6 1/4 X 6 X 1" Ice-Brix™ 16 oz. Cold Packs - 6 1/4 X 6 X 1"
D-2538 6 X 5 3/4 X 1" Ice-Brix™ 12 oz. Cold Packs - 6 X 5 3/4 X 1"
D-2537 5 1/2 X 4 X 3/4" Ice-Brix™ 6 oz. Cold Packs - 5 1/2 X 4 X 3/4"
D-2536 5 X 2 3/4 X 3/4" Ice-Brix™ 3 oz. Cold Packs - 5 X 2 3/4 X 3/4"
D-2598 6 x 6 x 6" Insulated Bubble, Box Liners, 6 x 6 x 6"
D-2572 6 x 6 1/2" Insulated Mailers, Bubble, 6 x 6 1/2"
D-2599 8 x 8 x 8" Insulated Bubble, Box Liners, 8 x 8 x 8"
D-2600 10 x 10 x 10" Insulated Bubble, Box Liners, 10 x 10 x 10"
D-2573 6 1/2 x 10 1/2" Insulated Mailers, Bubble, 6 1/2 x 10 1/2"
D-2578 10 x 10 1/2" Insulated Mailers, Bubble, 10 x 10 1/2"
D-2579 12 3/4 x 10 1/2" Insulated Mailers, Bubble, 12 3/4 x 10 1/2"
D-2602 11 x 8 x 6" Insulated Bubble, Box Liners, 11 x 8 x 6"
D-2575 8 x 11" Insulated Mailers, Bubble, 8 x 11"
D-2601 12 x 10 x 9" Insulated Bubble, Box Liners, 12 x 10 x 9"
D-2604 12 x 12 x 12" Insulated Bubble, Box Liners, 12 x 12 x 12"
No matter what delivery service your business uses, there’s one universal fact you have to accept. Once you hand over your customer orders, their fates are out of your hands. You have to trust that you’ve done the work to help those shipments find their way to their new homes. Hopefully, undamaged during shipping and arriving on-time. You can mitigate the risk of damage by making smart packaging choices, but what about prepping for late delivery, especially if you’re shipping out perishable items like food or medicine? Insulated packaging can help with that, maintaining the temperature and conditions your shipment requires. There’s not much worse than seeing all your time and effort succumb to the elements or an accidentally late delivery. The first step in protecting your special shipments is ensuring that there’s no empty or wasted space in your shipping container. Instead of taking up the extra room with void fill, you’ll want to use insulated box liners to fill that room and keep temperatures steady. They’re approved for incidental contact with food, and will help keep potential leaks under control. If you’re looking to add some extra padding, insulated bubble rolls are a great choice, too. Don’t forget about adding cold packs to your shipment. They’ll help extend travel time and maintain your product’s quality, texture, taste and appearance. Insulated box liners and insulated bubble rolls are a great place to start when creating a strong, reliable packaging strategy for your products. But there are plenty of other options for protecting your perishable shipments, too. Shipping kits, foam containers and mailer envelopes will help protect all your hard work, stabilizing rush medication shipments, pastry deliveries and other time-sensitive foods like fish, beef or dairy. 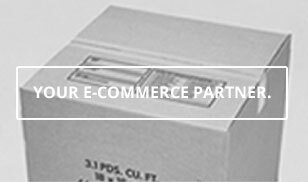 Keep your perishable shipments hot, cold and anywhere in between with insulated packaging from The Packaging Company.